The Feast of Jesus of Nazareth de Atotonilco (also known in Nahuatl as the God of the Hot Water) is celebrated at its namesake church in the small village of Atotonilco seven miles from San Miguel. The church attracts about 5,000 visitors every week. Another possibility is that Father Neri was vexed that the indigenous were not completely converted to Catholicism and they considered the thermal springs in the area sacred and medicinal. It was also a favored place for pagan rites that included fornication. One reason to build the church was to counter this practice. Fr. Neri liked to sleep in a casket on the altar as a form of penance and he is buried beside the altar. There have been attempts to have Fr. 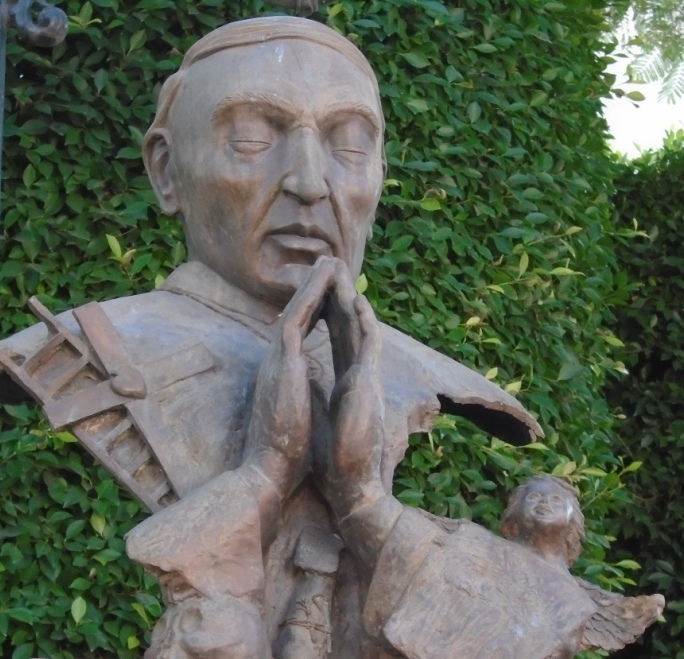 Neri beatified, promoting him as San Miguel de Allende’s first saint, but they have not been successful. Virtually every inch of the walls and ceiling of the church and chapels are covered with fresco paintings, giving it the nickname “Sistine Chapel of the Americas.” Scenes from the life and resurrection of Jesus mingle with saints and martyrs, angels, demons, flowers and fruits. One visual curiosity is the stations of the cross, telling the story of the death of Jesus, features not Roman guards, but Spanish conquistadors (a subtle poke at the Spanish rulers). To celebrate pilgrims walk to the church from all over the San Miguel and beyond, many wearing colorful traditional costumes. Native dancers in their huge plumed headdresses perform, and the fiestas include food, music and, of course, fireworks. Historically, the Jesus of Nazareth de Atotonilco church is also relevant because in 1810 Father Miguel Hidalgo y Costilla took the church’s banner of the Virgin of Guadalupe to serve as the flag of the Independence Army with Ignacio Allende (for whom San Miguel de Grande, originally named San Miguel de Chichimeccas after the indigenous tribe, later was named San Miguel de Allende). The conservation of this church is of national pride to Mexicans as where the Independence from Spain officially started. Also, Ignacio Allende married his only spouse, Agustina de las Fuentes, here though she died shortly thereafter.